Our third article on UNHCR Innovation explores all things audio, deconstructing methods of Communicating with Communities through radio, listening groups and beyond. "Much like your project itself, the means to funding should be imaginative and innovative to not only ensure you raise enough funds but also catch the attention of those supporting your project to build your following even more"
Our second blog post for UNHCR investigates how to fund your humanitarian project, offering guidance on hosting fundraisers and managing Crowdfunding platforms such as Kickstarter. The take away point is: funding is not a barrier to innovation but an opportunity to inspire a community of followers to tackle humanitarian issues together. It’s basically a big thank you to everyone who has supported us so far, without your support we would not be able to make Zaatari Radio happen. "Funding is not a barrier to innovation, but an opportunity to build a community"
We have been invited by UNHCR Innovation to conduct a blog series about establishing grassroots humanitarian projects. 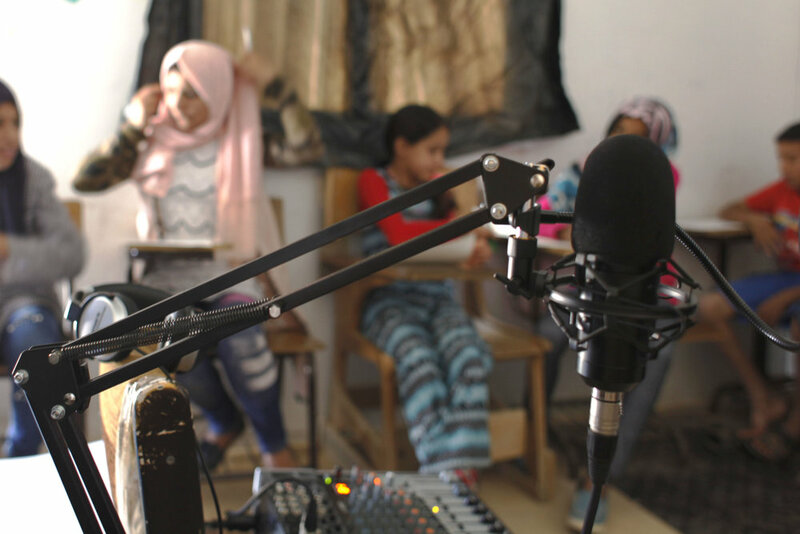 If you’re looking to get your own project up and running, our first article shares Zaatari Radio’s experiences in building from the ground up. Throughout the series we’ll be writing about successful fundraising, building the community of supporters around the project, and our expectations versus realities of running the project on the ground. "Perhaps not the first similarity one would think of, but a closer examination reveals a number of trends between the two. This article assesses the similarities between online broadcasting in London and refugee radio, and asks if the latter can follow the example of online radio, and become a more prominent fixture worldwide." Tom Critchley investigates similar trends between London's Online Radio stations and refugee broadcasting, asking if more could be done to support refugee radio. "What is not provided in VR, that is provided in mediums such as literature, is a depth of emotional engagement and an openness to interpretation. Without which this could lead to VR being called a technologically advanced form of voyeurism, and even more severely as a form of disaster tourism"